Trickle Net is a small rural Lincolnshire company that designs and manufactures a range of slow feeding nets for horses. 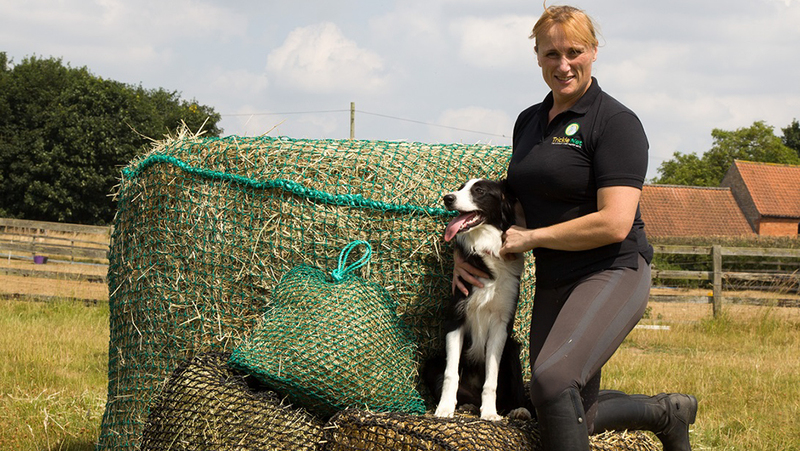 Born from necessity when a horse owner could not find a slow feeding net that was effective or strong enough, this small rural enterprise has finally risen from the kitchen table to the shelves of British wholesalers and major equestrian retailers. See the range of Trickle Net products at the Battles stand at BETA or contact Trickle Net for a trade brochure.